Brings optimal soft focus effect, perfectly hiding fine lines and imperfections, leaving behind flawless skin. 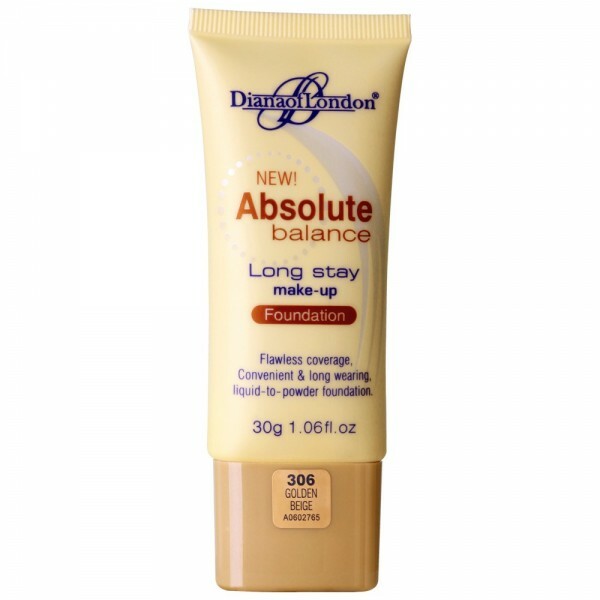 Diana Of London Absolute Balance Foundation Golden Beige (306) (Cosmetics) Flawless coverage, Convenient & long wearing, Fast drying, liquid-to-powder foundation. Ultra light smooth foundation. Protects and regenerates. Keeps skin well moisturized. Brings optimal soft focus effect, perfectly hiding fine lines and imperfections, leaving behind flawless skin.